The crew at Avalanche Studios, the development team perhaps best known for the Just Cause series of games, has been cooking up a new open-world action title in the form of Generation Zero. 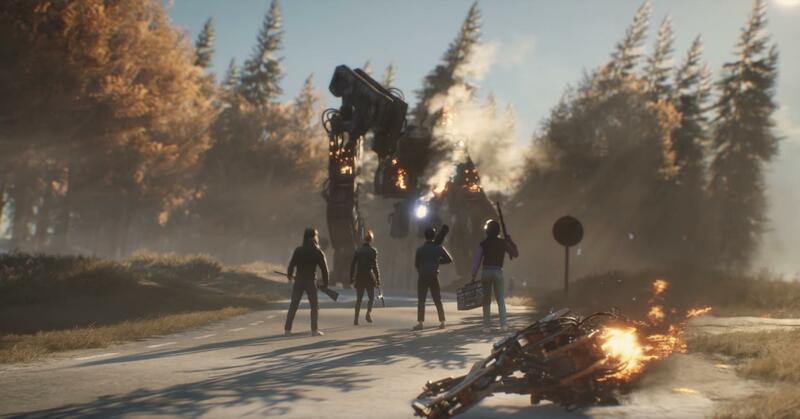 Revealed back at E3 2018, Generation Zero takes elements of open-world and cooperative games and throws them into an 80s-style world overrun with intelligent and hostile robots. Get a feel for the action with the new gameplay trailer featured below. The official Generation Zero website provides a simple pitch for players curious about the game's plot and setting: "in this reimagining of 1980’s Sweden, hostile machines have invaded the serene countryside, and you need to fight back while unravelling the mystery of what is really going on. By utilizing battle tested guerilla tactics, you’ll be able to lure, cripple, or destroy enemies in intense, creative sandbox skirmishes." In addition to the new trailer, Avalanche has provided some initial details about the game's planned closed beta test slated to run later this fall. Interested PC, PlayStation 4, and Xbox One players can sign up to be considered for access by heading over to the Generation Zero website, though there's no particular guarantee that they'll be granted access. Gaming fans lucky enough to be on-site at this year's Gamescom 2018 expo will be able to check out Generation Zero first-hand, as publisher THQ Nordic is on site with a special Gamescom co-op demo. Beyond this, players can expect to learn more about the game when Avalanche releases Generation Zero sometime in 2019.